An estimated 4.9 million barrels of crude oil and natural gases was released into the Gulf of Mexico during the Deepwater Horizon oil spill of 2010. The Deepwater Horizon oil spill affected the aquatic species in the Gulf of Mexico, vegetation, and the human population along the coast. To reduce the effect of the spilled oil on the environment, different remediation strategies such as chemical dispersant, and mechanical booms and skimmers were utilized. Over 2.1 million gallons of dispersants was applied to minimize the impact of the spilled oil. 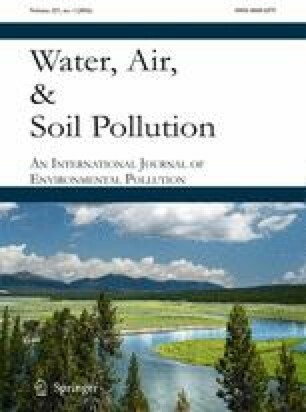 However, environmental and human toxicity issues arose due to the perceived toxicity of the dispersant formulations applied. After the Deepwater Horizon oil spill, various studies have been conducted to find alternative and environmentally benign oil spill response strategies. The focus of this manuscript is to demonstrate an objective and an overall picture of current research work on oil spill response methods with emphasis on dispersant and oil sorbent applications. Current trends in oil spill sorbent and dispersant formulation research are presented. Furthermore, strategies to formulate environmentally benign dispersants, as well as the possible use of photoremediation, are highlighted. EPA, U. S. (09/30/2014). Emergency Response. Retrieved April 9, 2015, 2015, from http://www2.epa.gov/emergency-response/sorbents. Lustgarten, A. (2010, August 8, 2015). Chemicals Meant To Break Up BP Oil Spill Present New Environmental Concerns. Retrieved August 18, 2015, from http://www.propublica.org/article/bp-gulf-oil-spill-dispersants-0430.